India is one of the countries that has a fair bit of colonial history to share. And not from just the British alone! Influences of the colonial heritage are seen from the French, Portuguese, Dutch, etc. so there is no two ways about the fact that they have left back a deep influence on our culture too. Be it the kind of buildings that they constructed or even the food influences, there is a charm about colonial legacy left behind. The city of Kolkata was known as Calcutta till a few years back. Of course, the debate on changing the name is endless and veterans still swear by the older name. But that is another issue. Kolkata or Calcutta had been the British capital of India in 1772 and retained its aura for years to come. Kolkata still retains this influence till date. If you head out to Dalhousie, the central business district in the heart of the city, you will notice heritage sites and buildings standing proud. GPO, Princep Memorial, Writers Building, etc. are just some examples. But the influence of the British era is not restricted to just the buildings. You will find the Hoggs Market or New Market made to suit the old British Charm. Bakeries like Flury’s and Nahoms still sell delicacies that were popular centuries ago, and still are. Along with this, when you head to the streets of Kolkata, many still retain their old names like Loudon Street. So a lot of places here hang on to that! Apart from this, most of the clubs in the city like the Bengal Club, Calcutta Club, etc. were made during the British era. And you still need to be in formals when entering the premises. Till date, the churches and the Anglo-Indians living here reflect the charm of that era. Even today, commuting in the trams reminds you of that time when there were fewer cars and a regal touch to everything. Fort Williams, the British army base from the colonial era stands in all its glory too. Something worth seeing! You can also watch a classy derby race at the race course or take a walk in Victoria Memorial, which is now converted into a museum. The other colonial attractions include the Indian Museum, National Library, Grand Hotel (which Oberoi’s run now) and the Governor house. The city of Shimla had been created or promoted as a summer retreat for the British aristocrats. As the babu’s made their base in Shimla, locals started flocking the area in such of work too. So the city gradually gained popularity. The summer capital of the British era still stands in all its glory as you witness some of the finest roads built during the British era. Another colonial charm from the era is the little toy train that is still functional and works. It is also a world heritage site. Some popular attractions here include Gaiety Theatre, Groton Castle, Rothney Castle, Viceregal Lodge, etc. The church located in the heart of the mall road is a reminder of the times when the British had control over this beautiful city. A fantastic way to enjoy a stay here would be through Clarks Hotel. This is one of the oldest hotels in the city and has been functional since 1898. During the 1920s Ernest Clarke took charge of the hotel, which is today operated by the Oberoi's. Apart from this, there are many other local lodges and home-stays to experience here that take you back right to that colonial era. The city of Chennai was formerly known as Madras. Due to its strategical location and being a seaport, this was one of the earliest cities that the British developed after arriving in India. It was the home to some of the oldest British dwellers. In fact, one of the first buildings to be constructed here was the Fort St George in 1644. All of the older buildings in the city represent the same charm and culture. These include the St. Mary’s Church, which represents the Indo-Saracenic style of architecture. It is also one of the oldest churches in the country. In the city of Chennai, you can see a deep influence of the British love for both tea and coffee. Places like the Indian Coffee House have been operational for more than a century now. The food served in the cafe takes you back to that colonial charm. You may think that the city is all about the south Indian delicacies here but that is not true. Even today, remote corners of the city sell some amazing bakery goods, which have a strong British influence along with some of the finest tea houses in the country too. One of the earliest historical records of the city go back to the 2nd Centry. It was here that the Periplus of the Erythraean Sea wrote about a marketplace named Poduke. Later on G. W. B. Huntingford also mentioned about a site, which was 2 miles from contemporary Pondicherry. It was about the same location as Arikamedu, now known as Ariyankuppam. Huntingford mention that Roman pottery had been found here in 1937. Between the periods of 1944 to 1949, different kinds of archaeological excavations took place here, which led to the discovery of Roman manufactures here that were as old as the 1st century AD. The plan of this city has larger French Influences and is very much similar to the grid pattern, with perpendicular streets. The city has two main sections that are the French Quarter that is known as Ville Blanche or 'White town’. And the second part is the Indian quarter called the Ville Noire or 'Black Town’. Most of the streets here continue to have French names along with architectural sightings. The French part or quarter of the city in particular has buildings that bear resemblance to pre-colonial structures. You can see long kinds of compounds with stately walls. Whereas, the Indian quarter of the city tends to have homes that have bigger verandahs along with large doors. Both of these house types have been prevented from destruction via an organization named INTACH. One can also see traces of the French Language on the menu and local shops. The French influence continues to this day. Examples include the oval shaped city center with right-angled street intersections, and the boulevard that encircles the main part of town, architecture of the 18th and 19th century Christian churches and public buildings, a promenade along the beach, and even a statue of Joan of Arc. Viewed from the sea, the skyline is typical of that of a French Mediterranean village. The hallmark of Pondicherry is the flat-topped cylindrical red kepi -- a hat worn by the police. Along with administration, city plan and also the architecture here, there is also the influence of French food that includes Croissants, eclairs, baguettes? Most of the French food available till date here is mostly in the Tamil area and has a mix of both French and Tamil cuisines. However there are some places that still have the authentic French touch from colonial times. 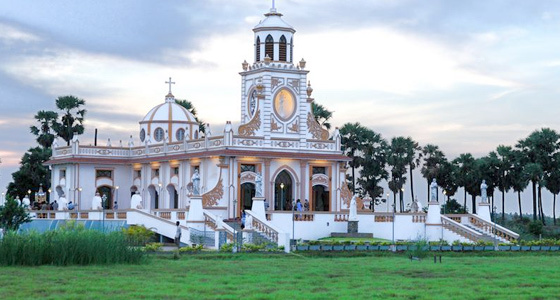 The state of Goa has one of the best colonial structures and churches in the country. Based in the west coast of India, the state was ruled by the Portuguese till 1961. So you can say that the entire region has a host of mixed cultural influences. You can see Portuguese descendants here savoring classic and rustic Indian dishes while the locals swear by some of the Portuguese cuisines like the famous Goan coconut curry. The entire city has a vast range of churches, light houses, cathedrals, forts, etc. which you must visit. Some of the most popular ones include the Margao and Vasco Da Gama. One of the best parts is that most of these old homes have been either transformed into guesthouses, hotels or home stays. You can get the best of both worlds here. When it comes to food and culture, there are still old colonial markets selling things from the yesteryears like furniture pieces, ancient clocks, etc. The food till date borrows heavily from the classic styles of Portuguese cooking. As you venture out into the heart of the state you will notice this colonial influence in the smallest of things like the lamp posts on the street sides or the benches by the beaches. The park still hold statues of famous Portuguese governors. Foreigners flock to the area for a vacation to get a feel of home away from home. Many of the old settlers retain their properties here, though they have shifted base back to Portugal. However, an attempt to retain the culture and tradition of the Portuguese reign continues. One of the other older trading ports from the British era would be Cochin. Till date, this city of Kerala is a favorite with the foreign merchants. It has a cosmopolitan culture and offers you a blend of the classic British lifestyle. The streets are well lit with the old lamps and iron railings that reflect the charm of the British era. It also bears a strong influence of not only British but also Dutch and the Portuguese settlers. In Cochin you can get some of the finest bakeries that sell an assortment of goods, which shows a clear impact of these cultures. Be it the Danish pastry or the classic British tea cakes, there is something for everyone. Check out the Portuguese style of construction at Santa Cruz Basilica and Pierce Leslie Bungalow have Portuguese style. There are some strong Dutch constructions visible here too like the David Hall, Bastion Bungalow and Dutch Palace. When it comes to hotels and home stays here, there are plenty of colonial era lodges and guest houses available. Here you can get bed and breakfast places too that have a strong resemblance to the colonial era. The town of Darjeeling was another summer retreat for the Colonial babus, considering that Calcutta was the capital back then and Darjeeling was much closer to the city, than their official retreat of Shimla. And the British also decided to use the pleasant and tea-friendly climate of this town to set up some of the best tea plantations in the world. Darjeeling was evolved as an important holiday destination along with a vital area for commerce too, thanks to the tea plantations here. 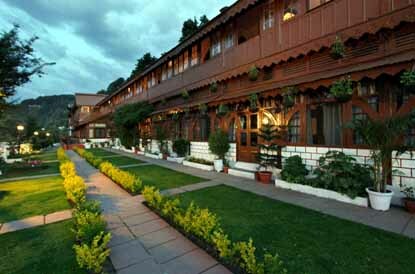 Till date, the Glenburn plantation retreat in Darjeeling witnesses the influence of the British charm. Though it had been started by a Scottish tea company in 1859, the estate has since then passed many hands. There are many other estates here that have a strong British influence, especially when it comes to the lodges, style of accommodation and also the kind of lay out of these gardens. If you head to any of these destinations for a retreat, you can experience the luxury of the finest British teas and service. Along with the tea estates, there are many other colonial buildings and heritage structures in the city including the governor house, Union church, Darjeeling clock tower, etc. And of course there is no denying that probably one of the greatest landmarks here, the Toy Train was started by the British too. It is one of the UNESCO world heritage sites today and still operational. Even now, some of the trains and engines are from the colonial era. To get at taste of the colonial palette you can head to one of the classic joints like Glenery’s or Keventers. Both the places serve delicacies that takes you right back to the colonial times. Of course, now you have to liberty to enjoy that charm with freedom! This union territory, especially Daman was a former Portuguese colony and till date it manages to retain that charm at its best. It is indeed a stunning place that is also a port town and hence provides you with the best of a busy city life with pristine beaches and the sea. It is a getaway that gives you a break within the city limits. One can clearly see the impact of the Portuguese culture here in the everyday life with the architectural magnificence. There are a lot of monuments here that provide and impact of the colonial era here. You can come across a lot of moss-grown ramparts in the homes here that provides a slippery moat. As a result of this, tourists love flocking the city to enjoy the charm from the colonial times. To a certain extent you can see that the majestic power still bestows on this grand city. Popular places here include Moti Daman (Bigger Daman), Lighthouse, etc., to see what the Portuguese style of living was. Another attraction in this UT would be the Fort of Diu. Till date the grand structure stands tall. Not only is it very imposing and stands on the island coast. The lighthouse is another vital feature of this fort. AFortim-do-Mar or Fortress of Panikotha is also worth checking out. Made from the finest stone, the structure offers a unique blend of finesse with colonial charm. There is a small chapel here dedicated to Our Lady of the Sea along with a lighthouse. One of the other cities that speaks volumes of the colonial charm would be Dalhousie. As you probably get from the name, this city was named after none other than Lord Dalhousie, the British governor to India. It is a city that till date has been unspoiled or rather not taken away from the strong British influence. It was set up by British Empire in the year 1854. The main purpose of developing this city was to help the British bureaucrats enjoy a summer vacation. With the cool weather in England, many of them had trouble coping with the Indian summers and heat. Situated at a height of about 6000-9000 ft. above sea level, you simply feel that you have gone back in time when you come to the city. It has tall oak and pine trees along with deodhar trees. The ambience here is serene and provides you with charming architecture that includes beautiful churches. Along with the British influence, the city was also a host to the Dalai Lama and many Tibetan refugees. The two famous churches fro the British-era are St John (1863) and St Francis (1894). Along with this, you can find many colonial hotels here too and lodges. The city also witnessed some of the strongest Indian freedom movements. Most of the streets are named after freedom fighters or the British bureaucrats. 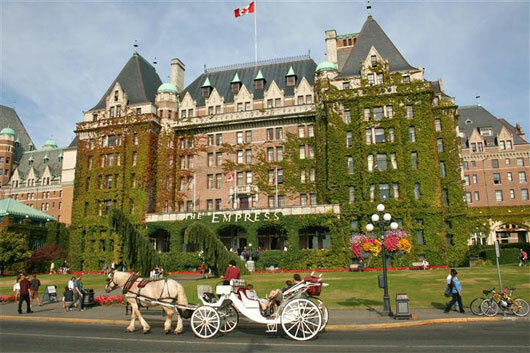 Are you aware that the picture of the Empress hotel that you have at the top of this page is in Victoria, Canada? It’s no where near India.